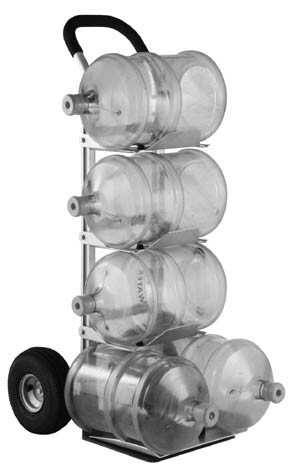 Non-slip trays easily fold to convert this cart to a standard hand truck. • Easily converts from standard 2-wheel to 4-wheel inclined to 4-wheel platform truck. Carries up to 12 bottles.